Kia’s newest production car has been launched at the 2017 North American International Auto Show (NAIAS). After releasing its final teaser video a week ago, Kia’s newest production car has been launched at the 2017 North American International Auto Show (NAIAS) – and it’s not called the GT, the concept car it was based from. 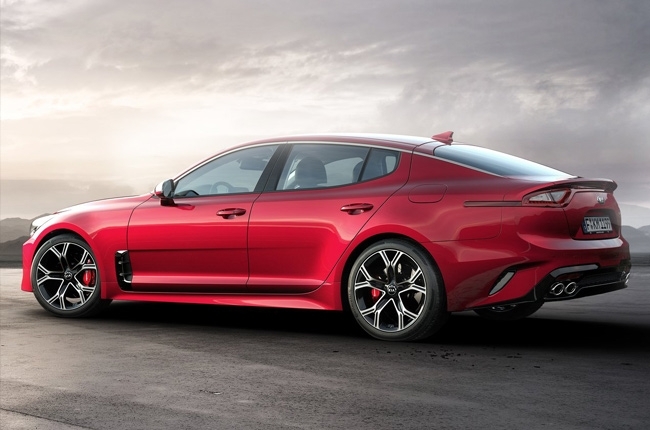 Introducing, the all-new Kia Stinger and we have one word to describe it: badass. 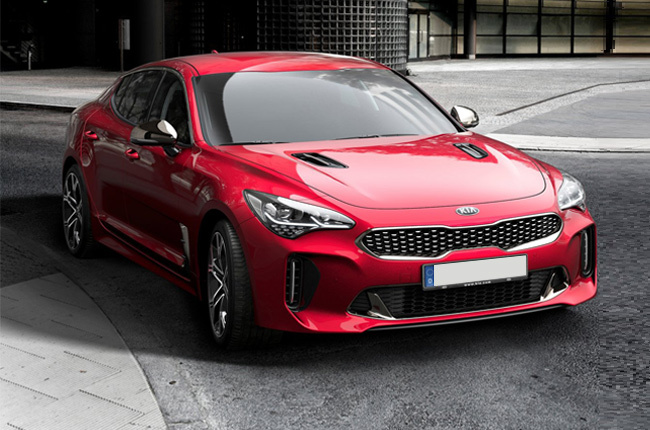 Based primarily on the GT concept car launched more than 5 years ago, the Stinger has an imposing aggressive design that can go head-to-head against its European sedan competitors like Audi A4, BMW 4-Series Gran Coupe, and Mercedes CLS-Class. 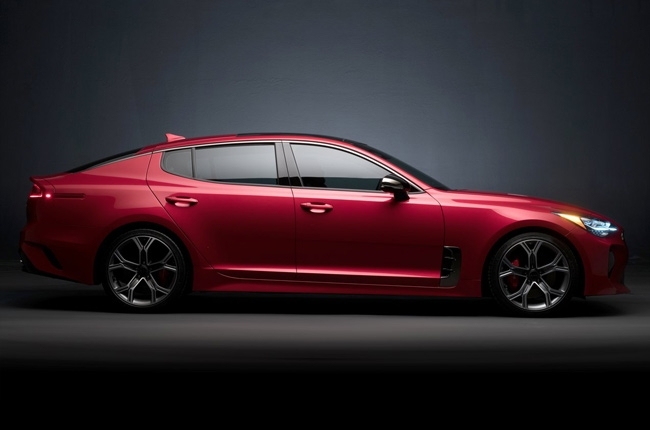 The all-new Stinger’s fascia is undeniably Kia with the signature tiger-nose grille. However, the rest of what you see upfront is styled differently from the rest of the Korean brand's lineup. These include the hood vents, sharp headlamps, front air vents, and wheel arch gills – all combined to end up with a modern-looking sports sedan that looks like it’s ready to hit the track. 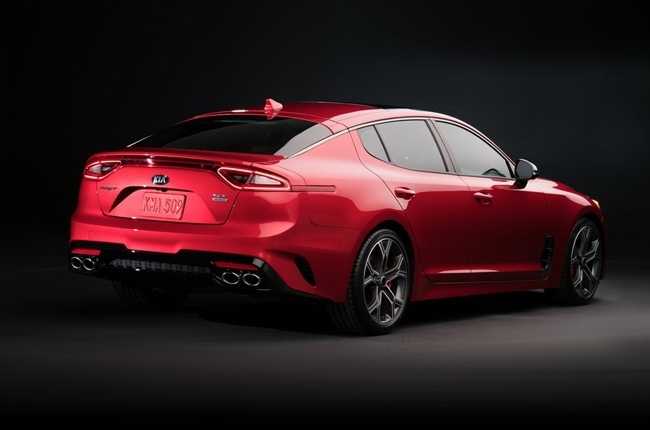 Mind you, this is the first sports car that Kia has ever made, with all previous concept cars not hitting production. That says something about Peter Schreyer (formerly of Audi), who oversaw the design of the all-new sports sedan. At the rear, the sleek LED taillights of the GT-concept has been retained but, it has been joined with integrated rear diffuser, quad-exhaust pipes, a lip spoiler, and a shark fin antenna to heighten up the sportiness throughout the 5-seater vehicle. Speaking of capacity, the 2018 Stinger has a wheelbase of 2906 mm, which is even longer than the locally available Kia Sorento 7-seater SUV. This spells ample legroom inside the car – an admirable trait for a high-performance sedan. 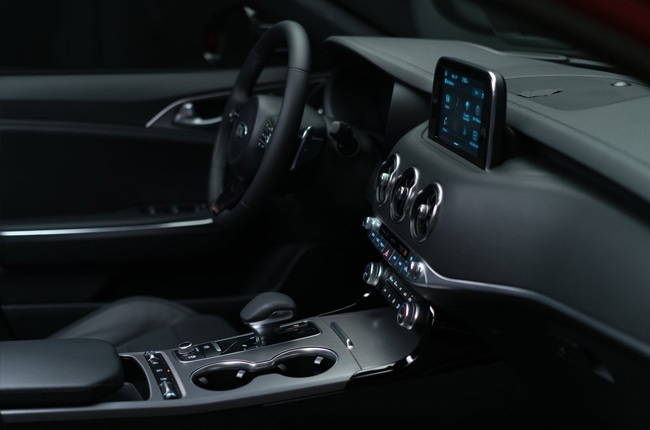 To match the snazzy exterior design, the dashboard of the Stinger has been showered with stitched accents. 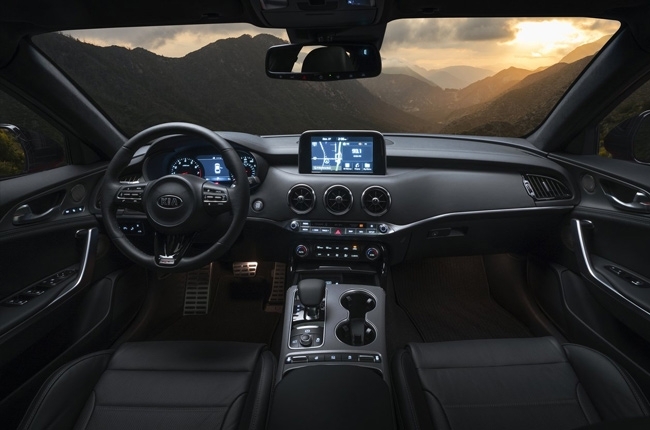 It has minimal buttons as well, which further highlights the radial airplane-inspired air condition vents and 7-inch haptic touchscreen head unit at the center of the dashboard. What’s best inside the Stinger isn’t readily seen by the eye, but can be heard rather. The range-topping GT-Line variant features a Harman/Kardon audio system that’s paired with 15 speakers, with under-seat mounted subwoofers. Talk about sound clarity. 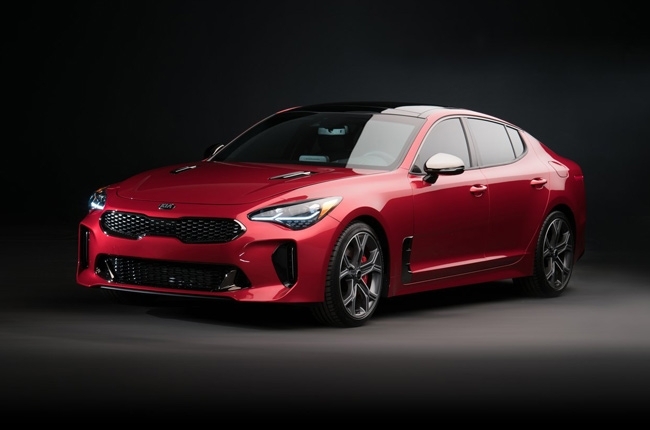 The all-new Stinger won’t be classified as a Gran Turismo (GT) if not for its high-performance engine inside its bonnet. 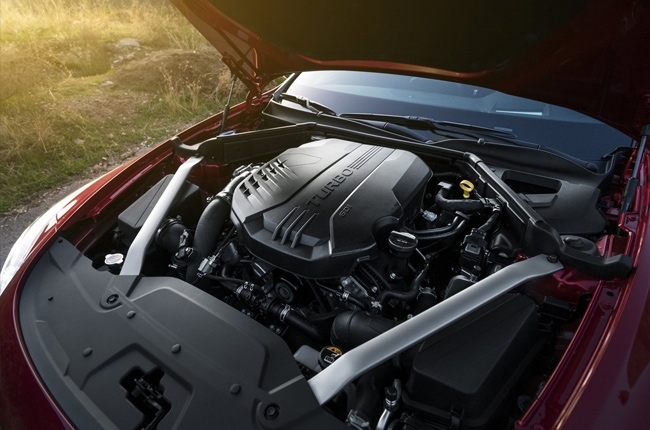 The U.S. models will have 2 options for its engine. 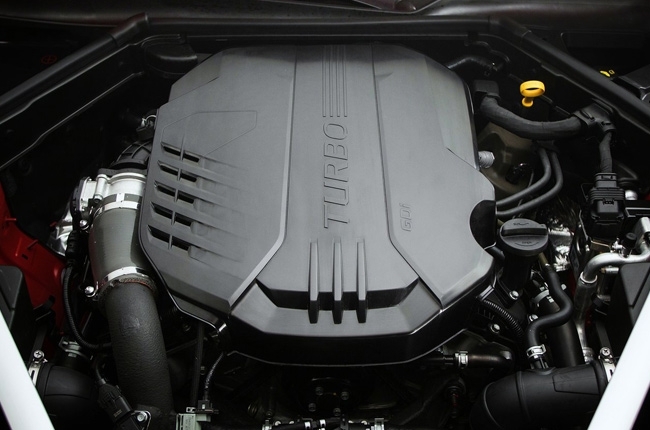 First is the 4-cylinder 2.0L turbocharged Theta-II engine that produces 255 hp. If ever this model is brought locally, it will be the fastest among the Kia range, beating the 2.2L Sorento SUV by 55 hp. Not to mention its 352 Nm of pulling power. On the other hand, when you opt for the top-of-the-line GT variant, you’ll get to enjoy a 365 hp V6 3.3L Lambda II engine. Kia claims that this variant can go from 0 to 100 km/h in just 5.1 seconds. When it comes to safety, the all-new Stinger won’t fall short, considering the speed it can bring to the table. It has multiple features, collectively known as the Multiple Advanced Driver Assistance Systems (ADAS). The ADAS features a Forward Collision Assistance (FCA)3 with integrated Autonomous Emergency Braking (AEB). It can detect potential collisions, including pedestrians, which brings the car to a complete stop when needed. Nice. Other technologies include Advanced Smart Cruise Control (ASCC), Lane Keep Assist (LKA), and Rear Cross Traffic Alert (RCTA). It also has a height-adjustable head up display that suits the preference of the driver, ensuring focus on the road than the car. 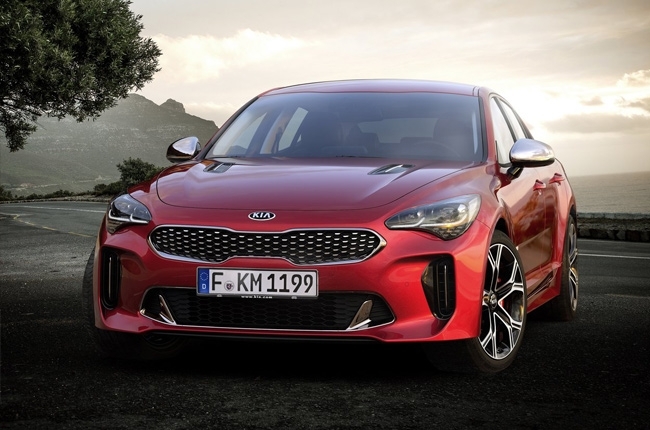 The Kia Stinger is expected to hit the U.S. showrooms by the end of this year. Will this be available locally? That's the question beyond our knowledge as of this writing but we sure do hope it does. 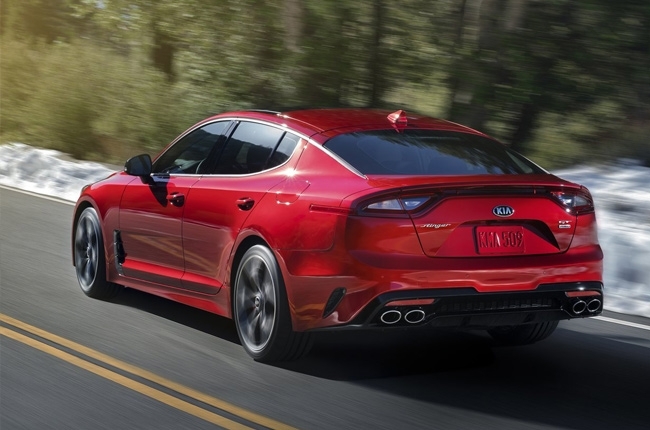 Hi, I would like to receive a financing quote for the Kia Stinger, thank you.